Most of us have seen footage or photographs of the explosions at Nagasaki and Hiroshima: the mushroom cloud, the radius, the devastation. Those, however, were not even close to the biggest nuclear bombs ever detonated. The bomb dropped on Hiroshima, dubbed “Little Boy” was 4 kilotons, and “Fat Man” – dropped over Nagasaki- was between 19-24 kilotons. Just a few years later, the U.S. was testing nuclear bombs in the megatons and the U.S.S.R. followed suit in the early 60s. As horrifying as the bombs of WWII were, they are nothing compared to those of later years. Hopefully, no one will ever use them against real targets. The first atomic bomb test was the Trinity explosion performed in New Mexico. At 20 kt, it wasn’t much larger than Little Boy and was nearly the same size as Fat Man. The Soviets were delayed in the pursuit of nuclear arms by the ground battles of WWII, but when the war ended they jumped right into the race. By 1949, they were ready to test First Lightning (RDS-1), becoming the second nation to detonate a nuclear device. 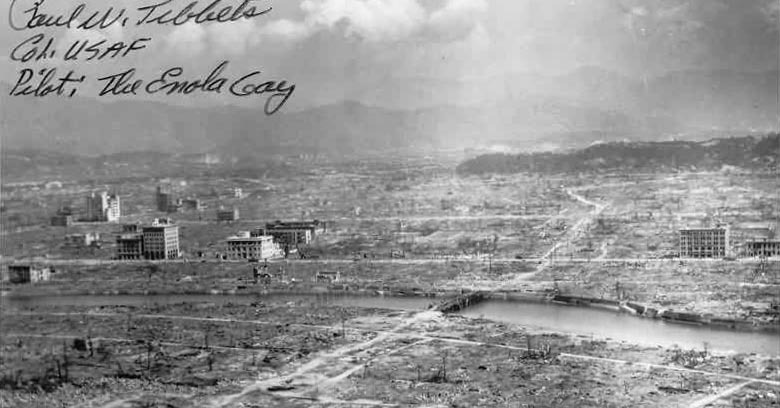 Thirteen years later, they caught up to the U.S. yet again with two atomic bombs, 158 and 168, that yielded 10 megatons each. Unsurprisingly, there are no photographs available of these tests done in the Arctic Novaya Zemlya area of Russia. The very first hydrogen bomb, Ivy Mike, completely obliterated its testing site. Elugelab Island of the Marshall Islands was deliberately built up for the 1952 test, but all that was left after detonation was a crater 164 feet deep. The 10.4 megaton bomb had a mushroom cloud extending 30 miles into the sky and 164 feet underwater with a crater radius over 1 mile. The size and speed of the blast were awesome – in the pre-1980s sense of the word. The 3-mile wide fireball mushroomed over 10 miles in the first 90 seconds until reaching its zenith of a 20-mile wide stem and 100-mile wide crown. The fallout and reaction of the ocean water to the circular shockwave were tremendous. Ships 30 miles distant were pelted with irradiated coral and the vegetation on surrounding islands was wiped out. Romeo was part of a series of tests performed on the Bikini Atoll in 1954. It had the distinction of being the first device tested over open water rather than on a reef. Detonated on a barge over the exact spot of the crater formed during the Castle Bravo test, the 11 megaton bomb is the third largest ever tested by the United States. Had it been detonated on an island or on the mainland, it would have destroyed everything within 1.91 square miles. The most often printed photograph of a nuclear explosion is one taken of Castle Romeo. Test 123 preceded 158 and 168 by one year at the same location over Novaya Zemlya. Who knows why they would decrease tonnage, but this prior test was 12.5 megatons – 2 over the tests of the following year. As with the others, no photographs exist. Castle Yankee exceeded expectations. Great for a job, kind of scary for a bomb. Another in the series of the Bikini Atoll tests of 1954, testers intended Yankee to give a yield of 6-10 megatons, but it brought its A game with 13.5. Yankee’s stats were 35 miles high by 100 miles wide. Its expanded horizons were due in part to fast fission of uranium tamper. Owing to wind conditions (65 knots at 40,000 ft), the fallout carried 7100 miles and dropped on Mexico City. Despite the impact 80s movies and nuclear fairy tales have on our collective imagination, the largest nuclear blast credited to the United States was detonated over 60 years ago, on February 28, 1954. Another in the series of Castle tests, Bravo also went above and beyond its projected 6 megatons, with 15 megatons of fission explosion. The devastation had far more reach and destruction than Yankee’s later debacle concerning Mexico City. The dry fuel thermonuclear hydrogen bomb was visible from 250 miles away in the first second. The first ten seconds saw a mushroom cloud 4.5 miles across and within a minute, it had ballooned to 9 miles high, 7 miles across until it peaked 10 minutes later at 24 miles high and 62 miles wide. The resulting crater was nearly a mile and a half across by 250 feet deep. The distance of the effects was enormous in scope. Close in, the fallout rained down on residents of the Marshall Islands, an island 23 miles distant was the scene of a fire ignited by the initial thermal flash, and sailors on a Japanese fishing boat 80 miles away were also poisoned by fallout. It has long been common knowledge that nuclear testing is horrifically harmful, but it was this incident that first demanded a ban on thermonuclear testing. The radiation from the blast reached over 7000 square miles and caused terrible health to those exposed and birth defects in their children. Despite what went on in the Pacific in 1954, the Soviets continued to test. In the fall of 1962, they tested the 3rd, 4th, and 5th most intense nuclear blasts at around 20 megatons each. Again, no pics are forthcoming. They amped it up in December of that year, with test 219. Make a note to never travel to Novaya Zemlya. Test 219 yielded 24.2 megatons. If anyone had been within 2,250 square miles at the time (and maybe there were) they would have suffered 3rd-degree burns. 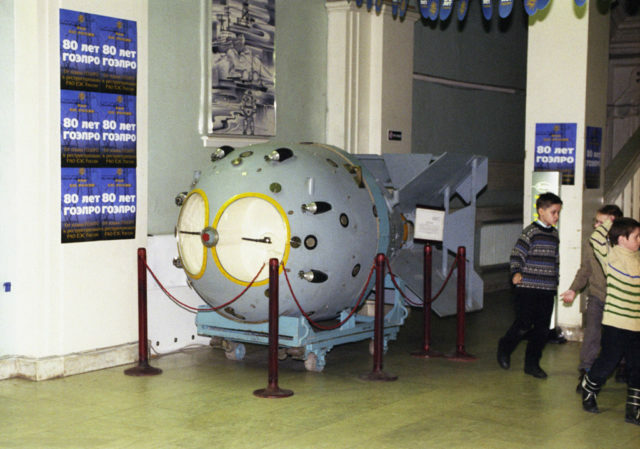 A year prior to 219, the largest nuclear weapon ever tested was detonated at the Soviets favorite test site, but with glass shattering effects 560 miles away. The Tsar Bomba was the largest man-made explosion ever. The massive yield was between 50-58 megatons and its flash was seen 620 miles away. Detonated on October 30, 1961, its 3rd degree burn radius would have been 4080 square miles. The bomber that dropped it nearly got scathed when the massive fireball simultaneously touched the ground and shot to 6.5 miles in the air. Putin would surely say that Mother Russia makes no mistakes, but Tsar Bomba, a.k.a. AN602, was only meant to reach as high as 2.5 miles. They had scaled back from their original plans for a 100 megaton terror, but decided in the end that the fallout would be too great. Scandanavians are surely thankful as the effects on them would have been greater than the blast they saw before their windows broke out. Norway and Finland suffered damage to buildings, and sadly, a village 34 miles from the test site was incinerated. While the U.S. and Russia appear to no longer be testing nuclear weapons, they are testing bombs and explosive devices that are as devastating to the immediate bomb site. Lucky for the world that fallout will not be as large a problem with these alternatives. The most horrific thing about these bombs, called thermobaric bombs, is that those on the fringe that don’t die from the blast, die from a vacuum-like effect on their organs which, essentially, contract and implode.